Common Medicare Question: What is Medigap Coverage? What is Medicare gap coverage? Today, many individuals are enrolled in the Original Medicare program in order to cover their medical expenditures. It’s true that Parts A and B will help you to pay for many medical bills. But many are unaware that, this program is insufficient to cover all medical expenses. At this point, you should investigate enrolling in Medicare Supplemental Insurance, also known as Medigap coverage. This article will investigate how these supplemental policies may be the right healthcare insurance solution for you. Medigap coverage will help to cover medical costs that Original Medicare Parts A and B do not address, such as copays, deductibles and coinsurance. Another great benefit of Medigap policies is that if you have to travel outside the country for any reason, you will still be insured. Original Medicare policies (Parts A and B) don’t cover you if you’re traveling. So, you should always have coverage that will be with you, in case of an emergency. Because it only covers an individual, your partner or spouse will need to purchase their own policy. Private insurance companies manage the sale and maintenance of these policies in order to assist individuals in seeing to their medical needs. These policies are not officially affiliated with the federal insurance programs. But the companies that offer them are still required to provide a standard of coverage comparable to that offered by the official programs. The private nature of this insurance coverage benefits you as a consumer. That’s because while the coverage levels must be standardized, these carriers still compete with one another for your business. They vie to provide superior levels of customer service, better monthly premiums and other aspects that may render their offerings more appealing to a wide range of consumers. State insurance departments do provide oversight for the companies that offer these policies. But you must still select the particular offering that works best for your particular needs. Before June 1, 2010, these gap insurance policies were often standardized in the following ways. State departments permitted up to 12 different programs. Supplemental Medicare, Plan A, offered a basic level of gap coverage. Plans B – L offered increasing levels of coverage and incentives to consumers. This was designed to facilitate the selection of the most appropriate policy, on an individual basis. The caveats to this structure were Massachusetts, Wisconsin and Minnesota; they structured their supplemental offerings in a different way. After June 1, 2010, the various types of supplemental offerings changed. In addition to two new plan options with low deductibles and greater cost sharing, M and N, several plans were eliminated. Options E, H, I and J were also no longer available to newly enrolled consumers. But if an individual already had any of these plans prior to June 2010, they were permitted to keep and renew them. The downside to remaining with any of these particular packages was that they would become increasingly expensive, due to lack of new enrollees. That means that, after 2010, a total of 11 plans were available to consumers; Plans A, B, C, D, F, high- deductible F, G, K. L, M and N. Individuals were advised to familiarize themselves with the offerings of each of the plan types. They then selected the one that served their individual health needs and budget requirements best. Once they’d established this base criterion, they then familiarized themselves with the various plan structures offered by different companies. This enabled them to select the company that provided the most desirable perks for their needs. Further, the gap coverage was only available to individuals who were already enrolled in the Original Medicare plan (Parts A and B). Those who purchased the Medicare Advantage plan would be required to drop the Advantage coverage and reenroll in the Original plan. While it might seem counterintuitive, the premiums charged for the same plan will vary from company to company. That’s because even though the levels of care are standardized, insurance companies competitively price their plans. And, they offer incentives to consumers to buy in with them. Additionally, as you age, your premiums may increase, even if you stay with the same plan. This understanding should factor into your choice of plan and provider. MedicareEnrollment.com provides you with the best resources for enrollment. But we also provide you with options to make sure that you have the very best coverage in place moving forward. You will be required to pay a sum of money for your Original Medicare plan. But your monthly premium for your supplemental Medicare must be paid to the private insurance carrier of your choice. However, one of the main benefits of this type of policy is that, even if you have health issues, the private insurer cannot refuse to renew your policy. In recent years, this issue has received a great deal of scrutiny in the media. Many private insurance companies took criticism for their draconian policies to customers who, although previously in good health, developed issues that required the companies to make good on coverage. Prior to 2006, these supplemental plans often offered coverage for prescription drugs. However, gap coverage no longer includes this aspect of medical care. If you desire prescription coverage, you must enroll in the Medicare Prescription Drug Plan (Part D). But it’s important to understand that even though gap coverage is intended to cover the areas of your care that Medicare doesn’t, it isn’t a total solution. Aspects of care that Medicare Supplemental policies often won’t cover are: vision and dental care, long-term care, in-home care by a private duty nurse and eyeglasses or hearing aids. If you should decide to drop your gap coverage, you should carefully time your choice. You should also carefully consider precisely what you want to accomplish. For example, an individual may decide to switch to a different Medigap policy. Or, they may drop their gap coverage and enroll in a Medicare Advantage program. However, these two situations are not compatible. Another important thing is to make sure you don’t drop your gap coverage policy. If you do this and go more than 63 days before your new policy is activated, you will be charged a penalty; this is called a late enrollment fee. Gap coverage policies are intended to interact with government insurance plans. But this means they are also subject to some restrictions. A number of policies out there either restrict individuals from enrolling in gap coverage or are frequently mistaken as gap coverage themselves. If you’re considering a supplemental policy, you should be aware of these plans. And, you need to have all your data before you enroll in any program or policy. Enrolling in a Medigap program can significantly reduce your out-of-pocket medical expenditures. But it’s important to understand that it isn’t a complete solution, in spite of what the name implies. When considering any of these options, you should educate yourself about the various offerings of different providers. This ensures that you receive the highest quality care. And, it enables you to obtain the care options that are most applicable to your needs. 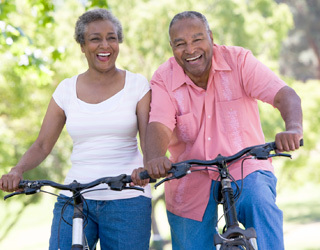 Gap coverage is something that can assist those who are still active and largely self-sufficient. However, it doesn’t apply to long-term care needs. So, if you come under this heading, it is vital that you seek a Medicaid or other Medicare policy that will address this consideration. Understanding what gap coverage is, and what your options are when dealing with a private insurance company, will enable you to adjust your preparations for care accordingly. And if you have any prescription drug needs? You may want to enroll in the Medicare Prescription Drug Plan, (Part D) at the same time you are considering your gap coverage options. Additional considerations, such as vision and dental care, should also factor into your decisions and the steps you take to ensure you are covered. You may have additional concerns or require clarification of any point discussed here or by your prospective insurance providers. If so, there are several sources of information that will prove helpful. Reviewing an actual Medigap policy can sometimes clarify any unclear points. Your State Health Insurance Provider (SHIP) and your state insurance provider are in place to assist you, as well. It is an explicitly stated aspect of their function to assist state residents with any questions or concerns they have about these insurance options. Your health and your healthcare are important issues in your life. It’s important that you arm yourself with information of the highest caliber in order to make the choice that serves your particular needs. If you are interested in enrolling in a Medigap plan, you may want to explore this website, HealthNetwork.com. We offer a variety of Supplemental Plans within your area.